12:23 | Lima, Nov. 27. The Festivity of Virgen de la Candelaria of Puno has been included in the Representative List of the Unesco Intagible Cultural Heritage of Humanity today, November 27 in Paris, France. The inscription took place in the presence of 950 participants attending the ninth session of the Intergovernmental Committee for the Safeguarding of the Intangible Cultural Heritage, scheduled to remain in session until 28 November at Unesco’s headquarters. 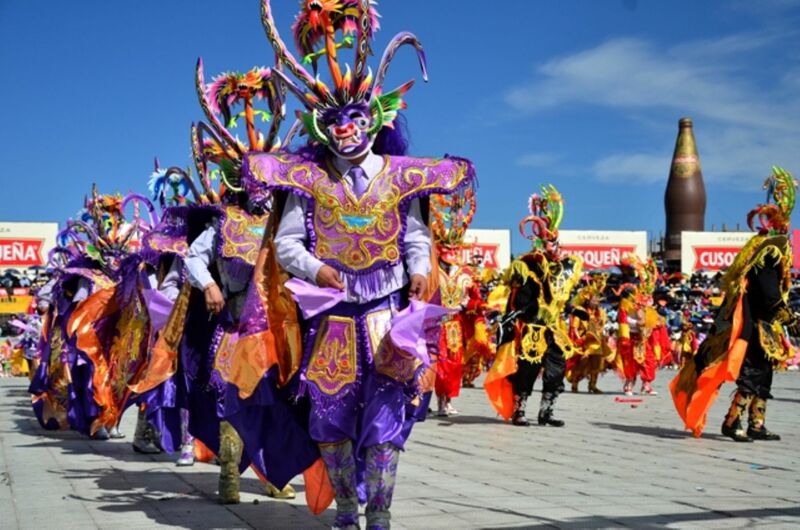 Held during the first two weeks of February in Puno, the festivity surely brings thousands of tourists in for parades, street dances, religious events and joy. It involves several activities of profound religious, festive and cultural character, with significant elements deriving from the combination of Catholic evangelization processes and religious beliefs of Pre-Hispanic origin. Nine days before the central day (February the 2nd) there is a preparatory period during which several masses are celebrated. Then, during the dawn of February the 1st, a daybreak mass is celebrated, and during the afternoon an ancient ceremony of annunciation is carried out, consisting in the gathering, transport and burning of bushes (qhapos) as a manner of purification. 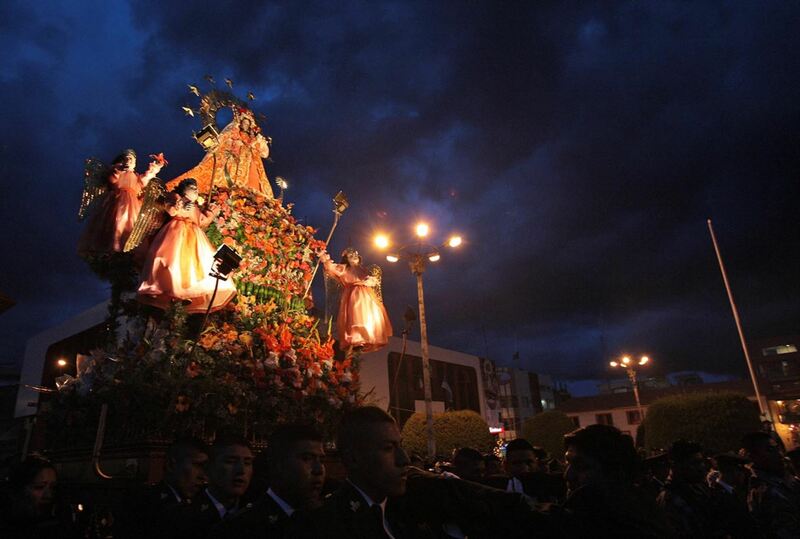 On the central day of the festivity, a liturgical act takes place throughout the morning and then a religious procession in which the image of the Virgin is carried in a platform along the streets of Puno, and is accompanied at all times with traditional music and dances. 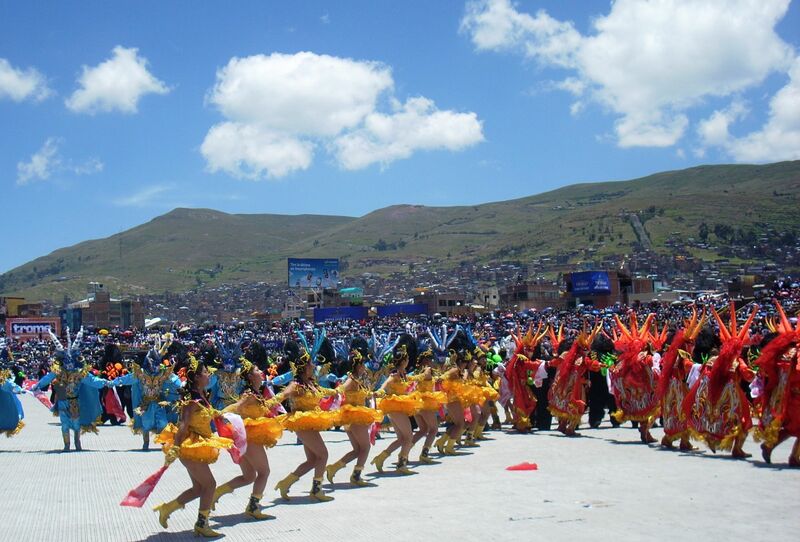 During the following days, the Regional Federation of Folklore and Culture of Puno organizes two contests of traditional dances where around 170 groups with approximately a total of 40 000 dancers and musicians from all the region display their best abilities trying to outdo each other. The festivity ends when the devotees go to worship the Virgin at her sanctuary, and there is a concert of musical bands, groups of panpipe players, and masses of farewell. This way the dispute between Peru and Bolivia has finally come to an end, as the Unesco decided to approve the requests of both countries to list it as a shared cultural heritage of humanity. It is worth mentioning both Bolivia and Peru agreed on a common declaration. “The ancestral and historic cooperation between our two countries and peoples commits us to work on a joined investigation, safeguarding and promotion of our cultural heritage,” states the document. Following Peru’s request for the inscription of such heritage on the List, Bolivia submitted an official complaint against Lima, arguing it was a Bolivian tradition. The Evo Morales’ government complaint followed the circulation of a video by Peru showing traditional dances that, according to the Bolivian side, gained popularity in Puno since 1968. 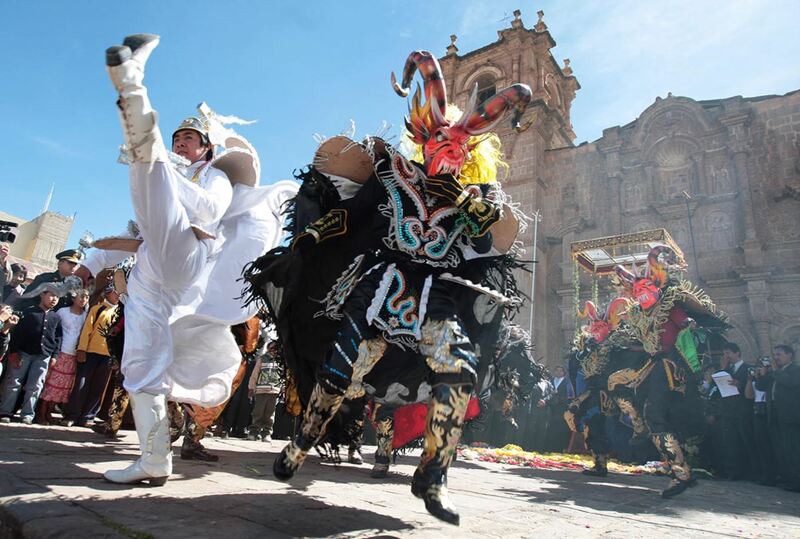 On the matter, La Paz insists that the dances shown in the video as Peruvian have been performed a century ago in the Oruro Carnival, an ancestral pagan celebration declared by Unesco as a cultural heritage of humanity in 2001. 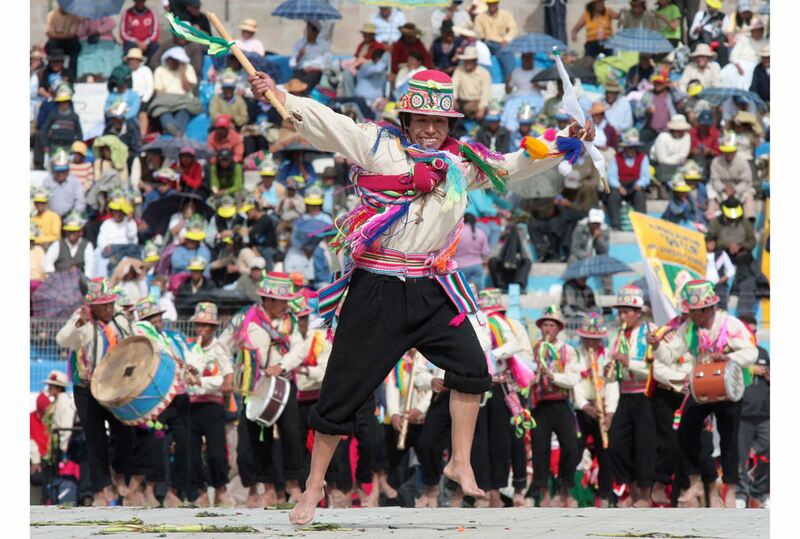 It should be noted the Unesco’s Intergovernmental Committee for the Safeguarding of the Intangible Cultural Heritage announced Wednesday the inscription of Pujillay and Ayarichi, music and dances of Bolivia’s Yampara culture, on its Representative List. Intangible cultural heritage consists of living cultural traditions, including oral traditions, performing arts, social practices, rituals, festive events, knowledge and practices concerning nature and the universe, or the knowledge and skills to produce traditional crafts.